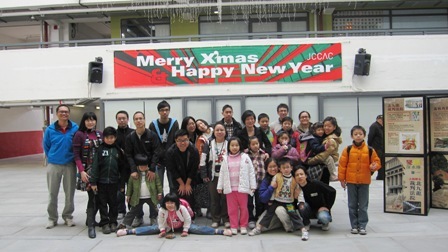 The programme jointly organised with the Hong Kong's Antiquities and Monuments Office (AMO) was successfully held at Shek Kip Mei Jockey Club Creative Arts Centre on 20 December 2009. 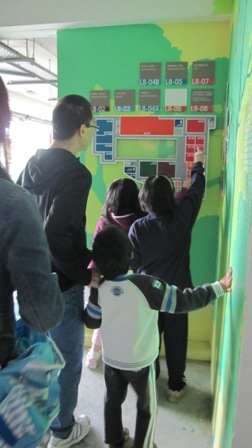 Orienteering tour guided by our staff and architectural students was arranged and participants were able to visit the centre, which was formerly the Shek Kip Mei Industrial Building, and hence learn more about building revitalisation in Hong Kong. They also visited the Mei Ho House and the North Kowloon Magistracy in preparation for "Historical Buildings Exploration Series - Building Revitalization Workshop" to be held on 9 January 2010. The Council for Sustainable Development is embarking on its fourth public engagement exercise on the issue of “Building Design to Foster a Quality and Sustainable Built Environment”. 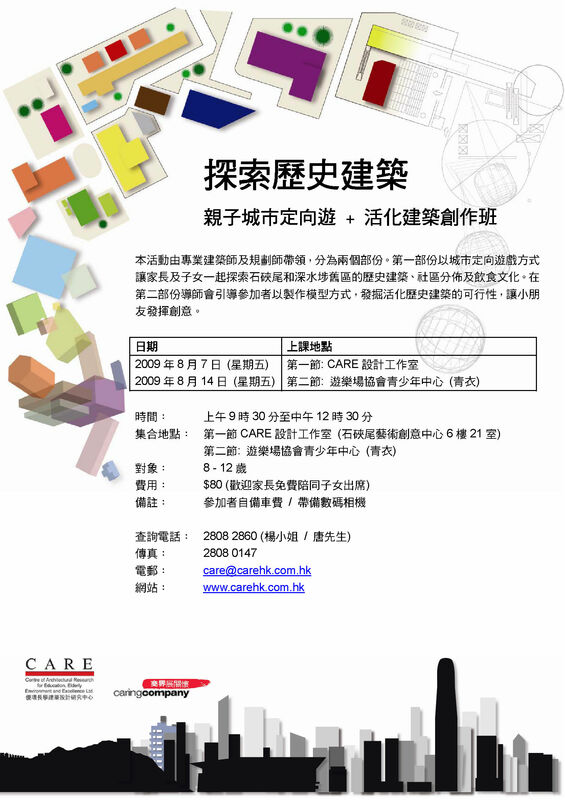 In response to the engagement exercise, CARE and School of Architecture , The Chinese University of Hong Kong jointly hold a competition: “Harmonized Neighbourhood - Sustainable Building Design Competition”. 10 finalists presented their models and design concepts to two groups of jury in the Final Assessment and Award Presentation Ceremony on 14 November 2009. The juries voted for the winner and 4 finalists of the Competition thereafter. 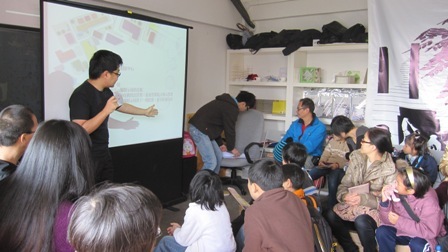 The second part of Summer Programme Series jointly organized with The Hong Kong Playground Association entitled "Historical Buildings Exploration Series - Building Revitalization " was successfully held at Shek Kip Mei Jockey Club Creative Arts Centre on 14 August 2009. 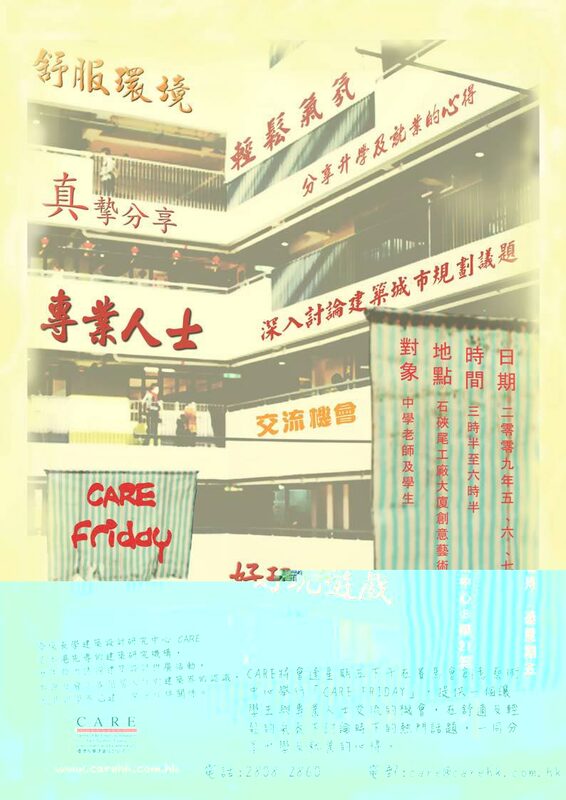 The staff of CARE firstly introduced the background and architectural features of two historical buildings: Mei Ho Building and North Kowloon Magistracy. After that, the youths was led to make a model of Mei Ho House. 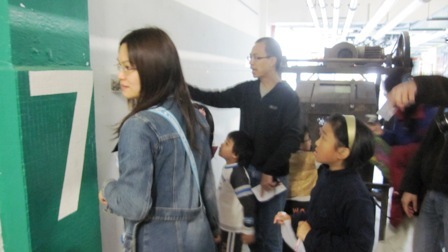 Our first round Summer Programme Series jointly organized with The Hong Kong Playground Association entitled "Historical Buildings Exploration Series - City Orienteering Tour" was successfully held at Shek Kip Mei Jockey Club Creative Arts Centre on 7 August 2009. We have arranged site visits to Mei Ho House and North Kowloon Magistracy in Shek Kip Mei, in preparation of further discussion on revitalization of historical buildings for "Historical Buildings Exploration Series - Building Revitalization Workshop" to be held on 14 August 2009. 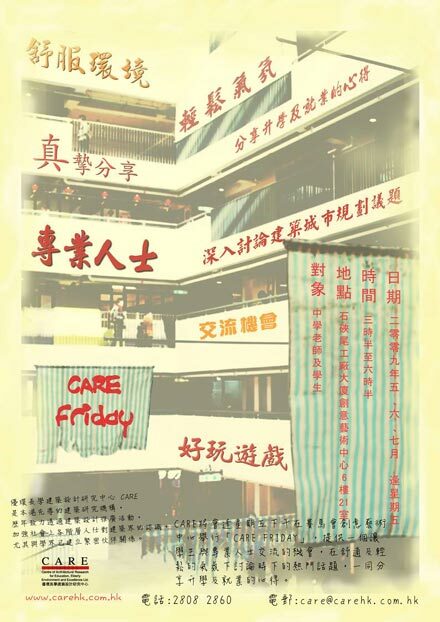 "Public Participation in the Sustainable City Development: Starting from the Community"
CARE has been granted a sum of funding by Sustainable Development Fund for organizing a community educational project "Public Participation in the Sustainable City Development: Starting from the Community", in collaboration with the Community Participation Unit, the Department of Architecture of the Chinese University of Hong Kong. The project's briefing session and kickoff ceremony was successfully held at the Hong Kong Community College (West Kowloon Campus) on 1 August 2009. For more information about the project background and application, please feel free to view our project website "Public Participation in the Sustainable City Development: Starting from the Community".